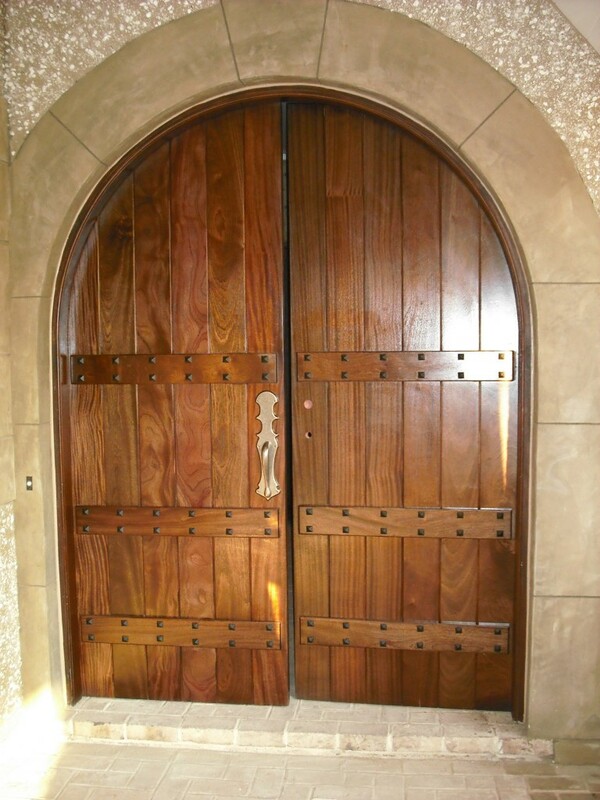 Wescoat Millwork can help design your custom door with you. 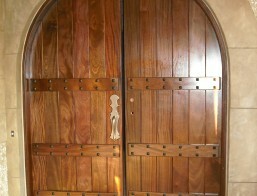 We then draw with computer aided design software for customers to sign off on the design and go to production. 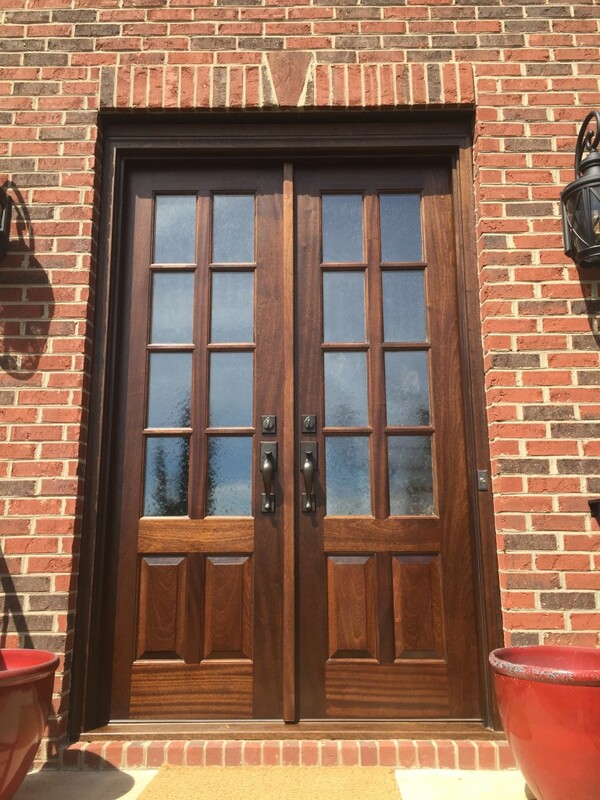 Wescoat Millwork offers a turnkey solution for your front door system fabricating the door unit, prefinishing and full installation including hardware. 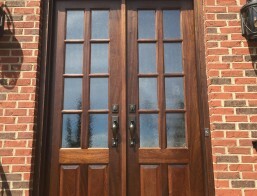 Wescoat Millwork offers a wide variety of stain colors, glass options, and types of wood species. 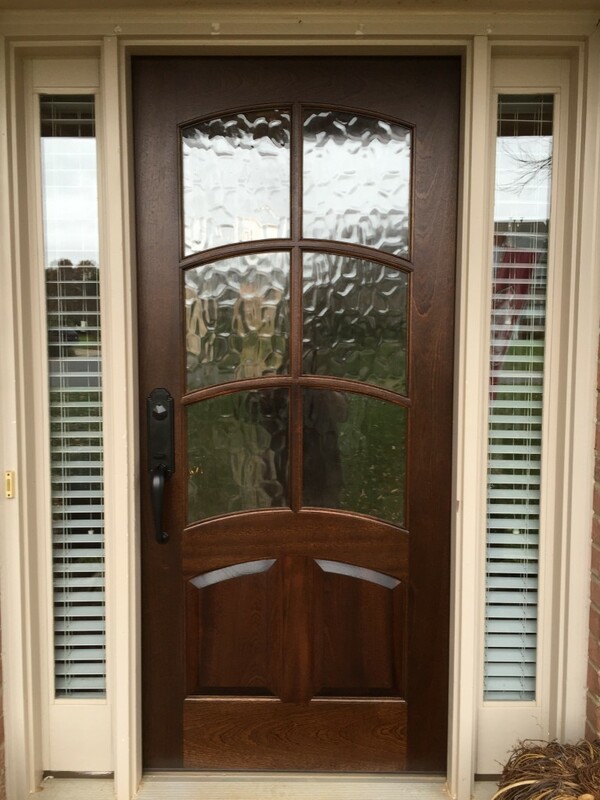 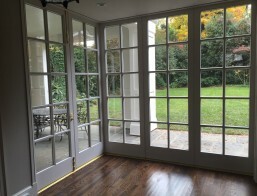 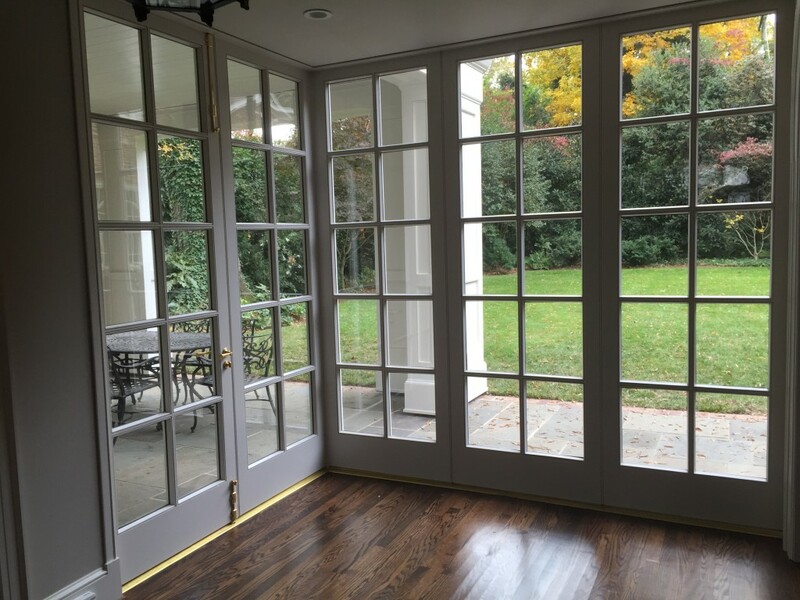 Wescoat Millwork is highly skilled at remodeling or replacing your existing door unit. 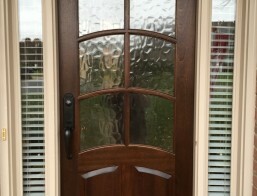 We specialize in the fitment of your new door unit to the existing opening. 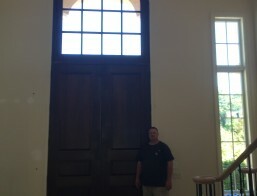 There is no evidence that we were even there after our professional installation. 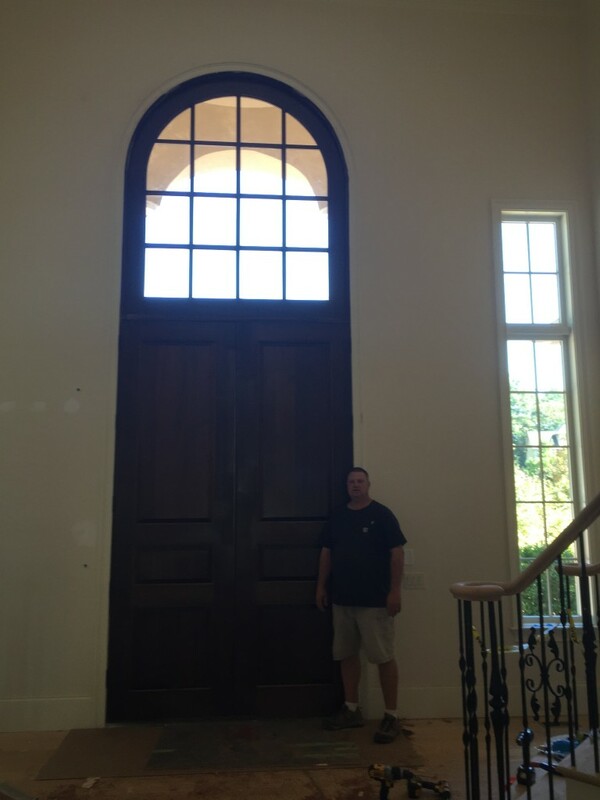 For new home construction, Wescoat Millwork works with the superintendent during framing to ensure the rough opening is correct to accept the door jamb perfectly.We offer temporary doors and jamb protection during the construction phase to help protect from damage. 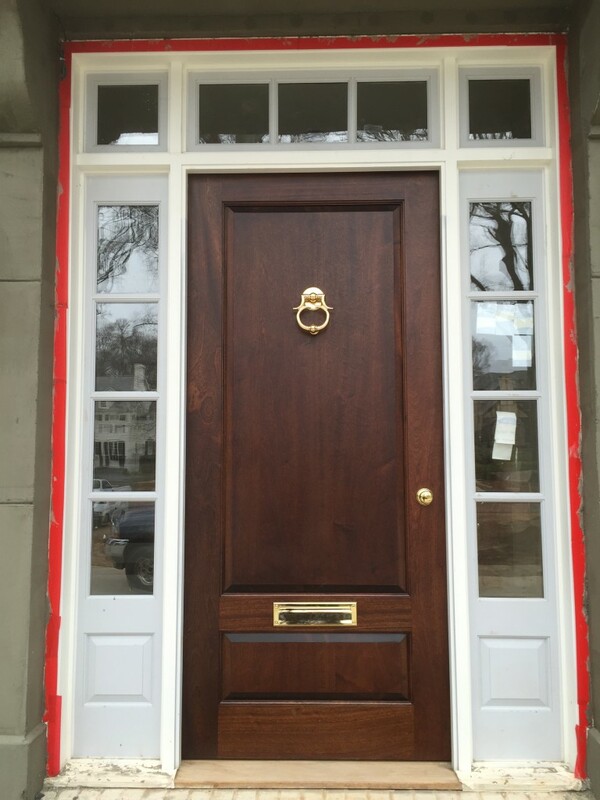 Prefinishing of the door unit so that it is protected from the elements the day it is installed. 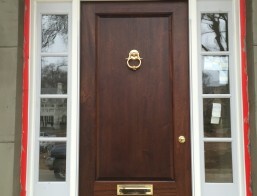 Installation of the door unit and hardware to conclude the project.